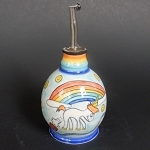 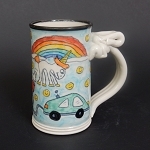 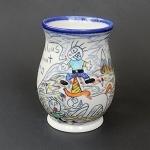 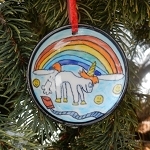 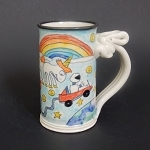 Home > Here's where you can buy the Farting Unicorn pots! 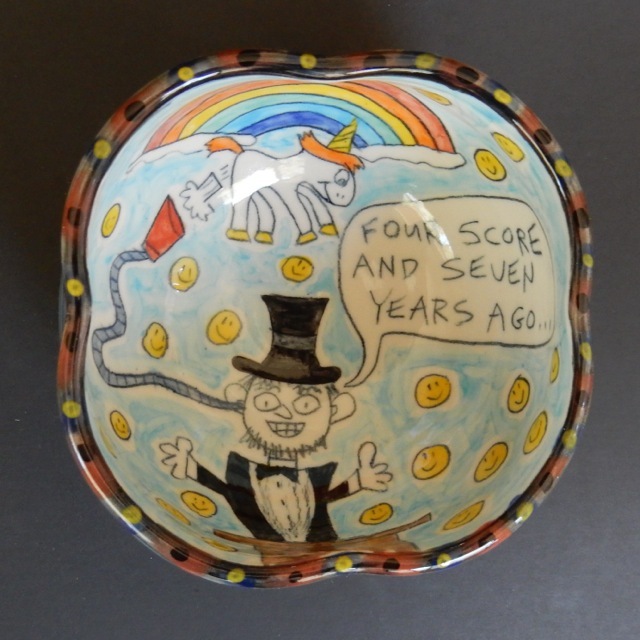 > Abe Lincoln heard the wisdom of the unicorn wind! 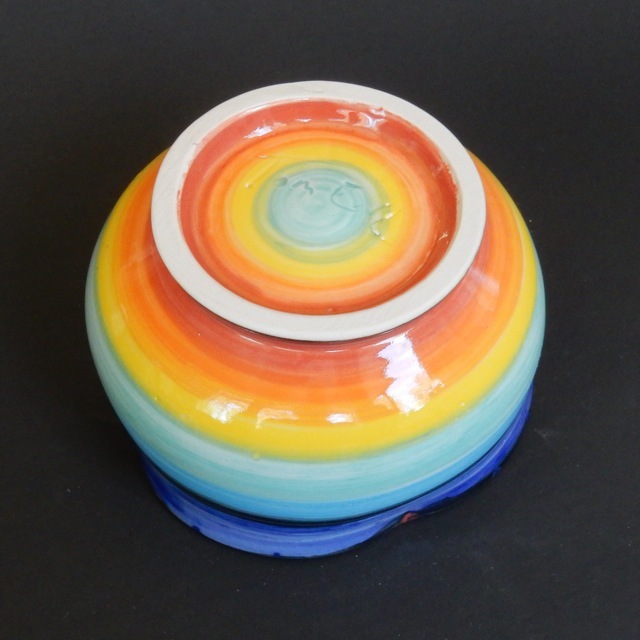 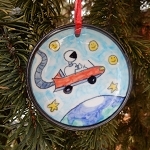 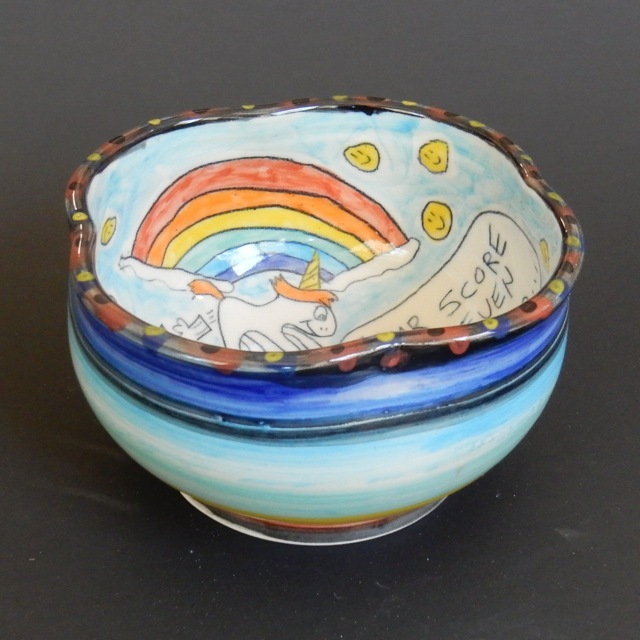 - art bowl - ONE OF A KIND! 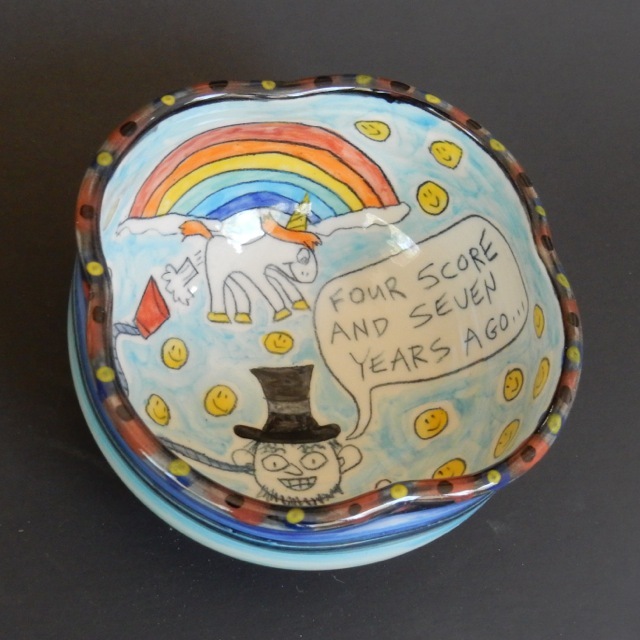 This is a one of a kind art bowl.